(This article contain affiliate and sponsored products) Summer is all about keeping things simple. Cus when we’re out and about we certainly don’t want to carry a lot with us! At the same time, there’s no way we’re compromising on quality. Therefore we’ve been searching for effective yet super fresh products, and luckily, we’ve not been disappointed! AND not just that, it comes in the prettiest and most genius refill box (perfection Guerlain!). Also we’ve rediscovered an old favorite mascara– which is rich, dramatic and as dark as you get it. 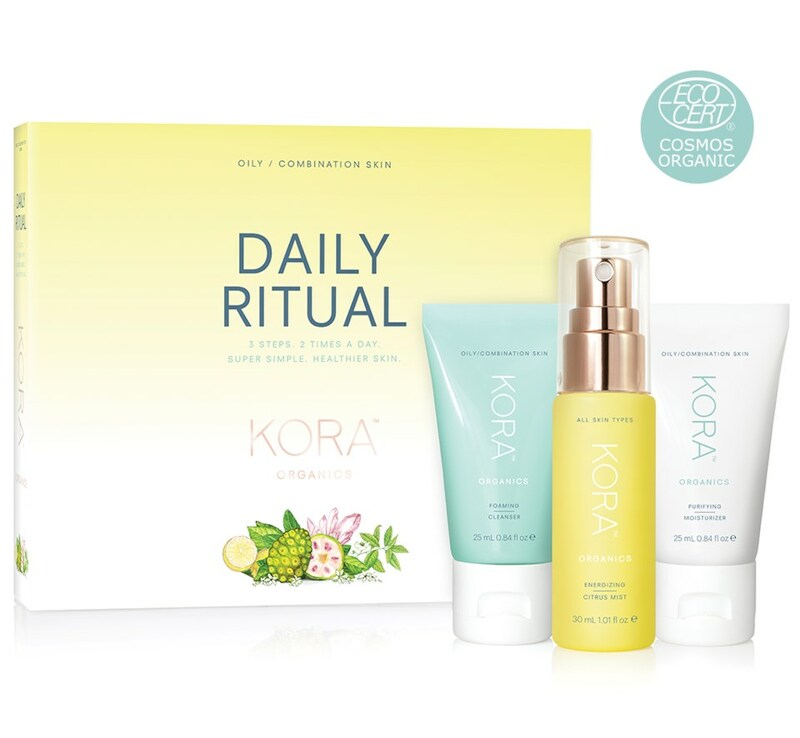 We’ve also tested the amazing KORA Organicskincare series (which comes in travel size btw! )This organic line, by supermodel Miranda Kerr, is finally in Norwegian stores and we’re already super excited after a couple of weeks! has not only the smoothest texture, but it’s designed to reduce redness and boost hydration. Personally, we found ourselves waking up with hydrated and super soft skin. Not to mention, we’ve also finally found the perfect sun spray– which we bring wherever we go. And last, but not least; we’ve landed on what we believe to be this decades most gorgeous smelling tanning milk. With this baby you can leave you perfume at home. Thank you Decléor! Sun screen spray fromVichyand tanning milk fromDecléor. Top photo: Vogue Italia May 2018 by Daniel Jackson.